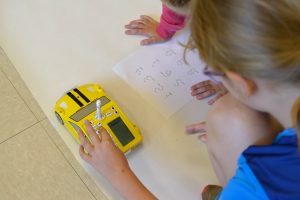 For the past ten years, we have been integrating new technology into our classrooms. 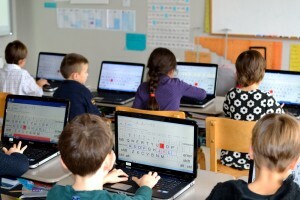 With interactive whiteboards and mobile carts allowing students to easily access computers, we constantly anticipate the needs and implement different ways to use technology to improve our teaching and student learning. Knowing how to use technology is a skill of the 21st century that must be integrated into all aspects of the classroom, and one of our students’ learning tools today is the iPad device. The individual use of iPads is a way to empower them to maximize their full potential and to prepare them for High School, College and the workplace. Therefore, in 2013 FASP implemented a 1:1 iPad initiative for students in grades 5-8. 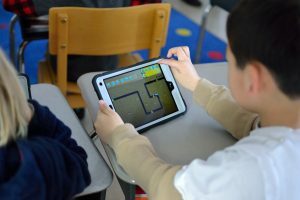 Since then the program was extended to Grade 3 and Grade 4 classes, and lately a small number of iPads was made available for our Preschool, Pre-K, and Kindergarten students. 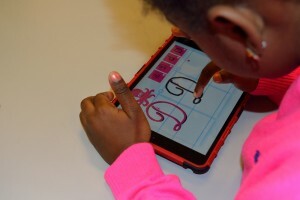 Students from Grades 3-8 are equipped with a school-issued iPad. Grades 6-8 students can take them home, while for students in Grades 3-5 they are only used at school. We have carts of laptops available for students on each floor of the school. 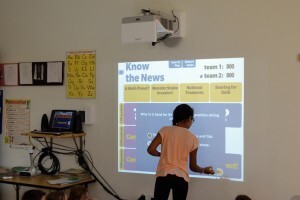 Each classroom is equipped with a video projector with an Apple TV or an interactive smart board. Starting in 2015, each faculty member has been equipped by the school with a laptop and/or an iPad. Students’ iPads and laptops are connected to a dedicated students’ WiFi network with access points throughout the building.